If a child produces consistently good handwriting in all books, the small case and the capital letters are of the same size then they are rewarded for their effort.. They can present their books to leadership and then may be issued with a pen licence if their writing is of a high enough standard. 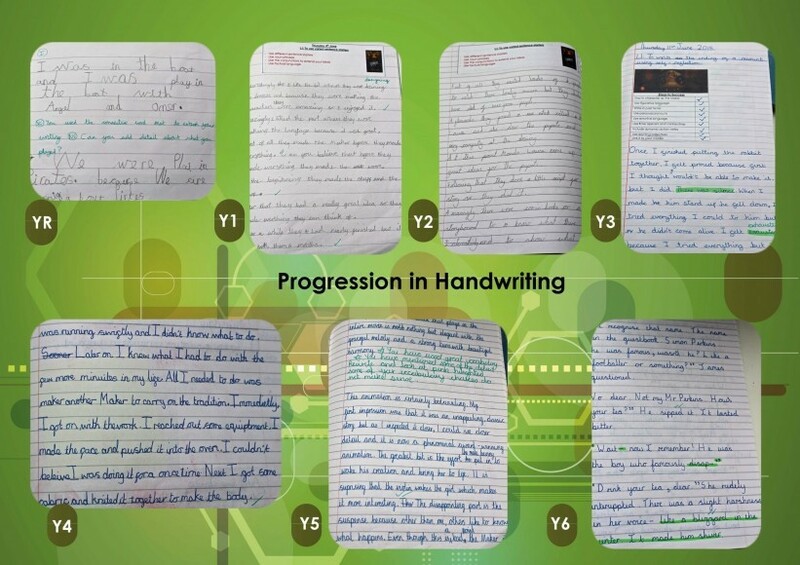 To view a an example of our handwriting expectations please see the photos in the gallery below. 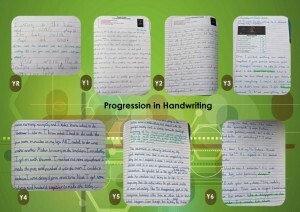 You can buy a handwriting book from the school office for £1.50 to practice at home. Please let your class teacher know if you would like a handwriting book. This has lines and squares for your child to practise at home.